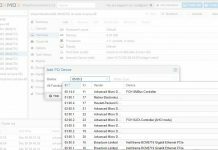 Proxmox VE 5.2 is out but do not let the “dot” release designation fool you, there is a lot here. First off, there is the Debian 9.4 underpinnings and the associated kernel upgrade to 4.15 which helps improve hardware support. A good example is that AMD EPYC 7000 series systems work extremely well with this new release. You can see that in the title screenshot with dual AMD EPYC 7601 32 core / 64 thread CPUs. 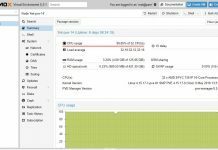 Proxmox VE 5.2 also comes with new a new CIFS/SMB storage plug-in, especially handy for and those with Windows storage. 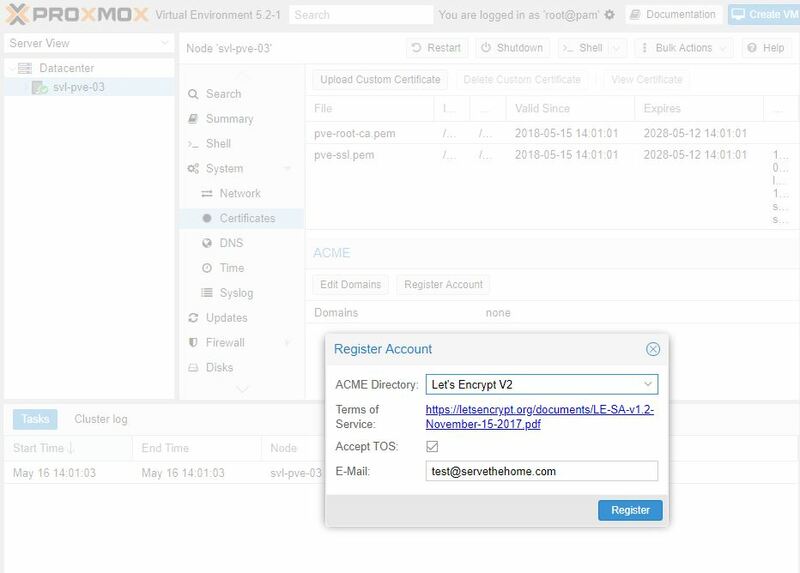 Beyond that, there are a few cool features such as a cluster GUI, cloud-init support, and Let’s Encrypt ACME integration. This works both for creating the cluster as well as joining additional nodes to the PVE cluster. 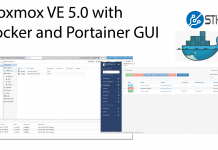 Proxmox VE 5.2 now has built-in support for cloud-init. Cloud-init is becoming a force for handling initial virtual machine setup. 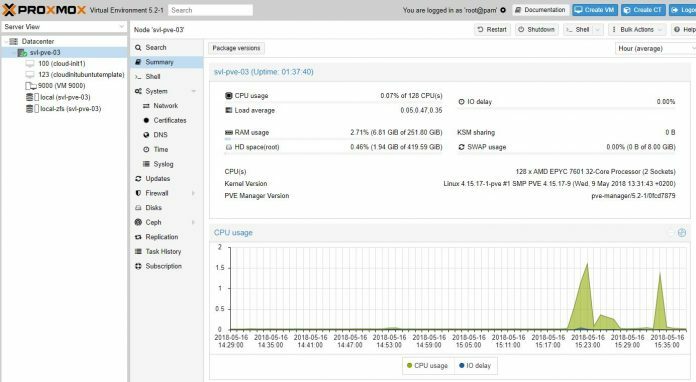 You can provision VMs quickly from Proxmox VE KVM templates and then use cloud-init to configure hostnames, ssh keys and run post-installation scripts for example. If you are using automation tools like Ansible you can use these disk images as a base for your automation. We got our initial templates based on Ubuntu 18.04 Bionic Beaver running within a matter of minutes. Let’s Encrypt is becoming the defacto standard for providing certificates as an automated certificate authority providing free certificates needed to enable secure HTTPS (SSL/TLS) for websites. The industry has broad support for Let’s Encrypt. Proxmox VE now has a GUI that can help admins issue and renew certificates which is awesome. This is about a 2/10 in terms of complexity to get working which will help more admins use the feature. Of course, these are just a few highlights of the release. You can read more about the release here. Somebody else get this annoying message too?